Voters must now present a government-issued photo identification to vote in Wisconsin, a federal appeals court ruled last week. Voting-rights advocates filed a challenge to that ruling Tuesday. The full 7th U.S. Circuit Court of Appeals said Friday it will not rehear its decision allowing Wisconsin's voter identification law to be implemented for the Nov. 4 election. The court said in a seven-sentence order that it was equally divided on whether to take up a request to reconsider a Sept. 12 decision allowing for the law to go forward while it considers the merits of the case. That means the 10-judge panel was one vote short of reconsidering the earlier decision, as requested by the American Civil Liberties Union and the Advancement Project. The groups argued that implementing voter ID so close to the election will create chaos at the polls, undermining election integrity and public confidence. Opponents are evaluating whether to appeal to the U.S. Supreme Court, said Jeremy Rosen, an attorney with the National Law Center on Homelessness and Poverty. That group joined the ACLU and the Advancement Project in challenging the law. Katherine Culliton-Gonzalez, director of voter protection with the Advancement Project, said the decision wasn't unexpected — the court rarely grants such requests — but was still disappointing. "We think of this as a very mistaken decision," she said. "There's going to be disenfranchisement in November. (Republicans) are manipulating the system for their own political gain." A spokesman for the state Department of Justice, which defended the law, declined comment. In its Friday order, the court said individual judges may file opinions later explaining their votes. The order said those in favor of rehearing the case were judges Diane Wood, Richard Posner, Ilana Rovner, Ann Claire Williams and David Hamilton. Three of the judges who voted to rehear the case were appointed by Democratic presidents, two by Republicans. All five who voted against rehearing it were appointed by Republicans. Wood and Williams were appointed by President Bill Clinton, Hamilton was appointed by President George W. Bush, Posner was appointed by President Ronald Reagan and Hamilton was appointed by President Barack Obama. Wisconsin's Republican-controlled Legislature passed the law in 2011 requiring people to show certain government-issued photo ID at the polls to vote. Allowable IDs include driver's licenses, state ID cards, passports, some college student IDs, military IDs, naturalization certificates or IDs issued by a Wisconsin-based American Indian tribe. Military and permanent overseas voters are exempt from the requirement. The law was in effect for the February 2012 primary but hasn't been enforced since then because of multiple legal challenges. The ACLU and the Advancement Project filed a federal lawsuit challenging the mandate in 2011, the same year it was passed. A federal judge in Milwaukee found the law unconstitutional this spring, but Republican Attorney General J.B. Van Hollen appealed. A three-judge 7th Circuit panel — all appointed by former Republican presidents — ruled two weeks ago that the state could implement the law while it considers the merits of the case. The city may provide special transportation to get photo identification and encourage city employees to work at polls. Also Tuesday, challengers to voter ID say they plan to appeal the latest ruling. Questions about voting or voter ID? 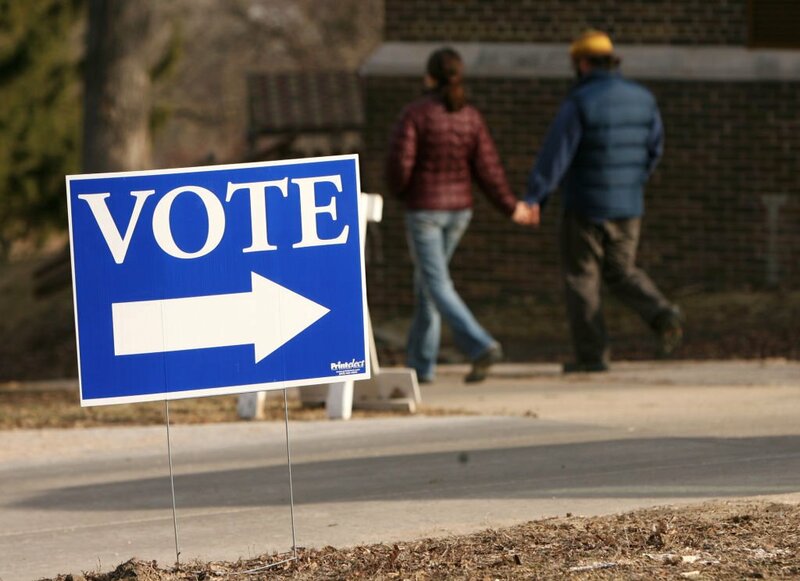 Contact your local municipal clerk's office or the Government Accountability Board at http://gab.wi.gov/voters. Allowable IDs include driver's licenses, state ID cards, passports, some college student IDs, military IDs, naturalization certificates or identification issued by a Wisconsin-based American Indian tribe. Opponents of Wisconsin's voter photo identification law asked the U.S. Supreme Court on Thursday to take emergency action and block the requirement ahead of the Nov. 4 elections, arguing there isn't enough time to implement the new rules.